When I first saw this, I thought his name was "Crap." But I'm really intrigued by the fact that an exclamation mark is an official part of his name. 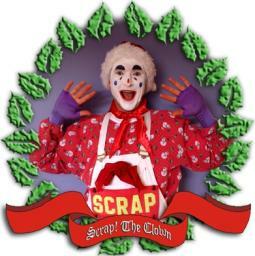 It's as if he is proudly announcing that he's not only a clown, but a Christmas clown, dammit!